Age: older than Mike Brumit. 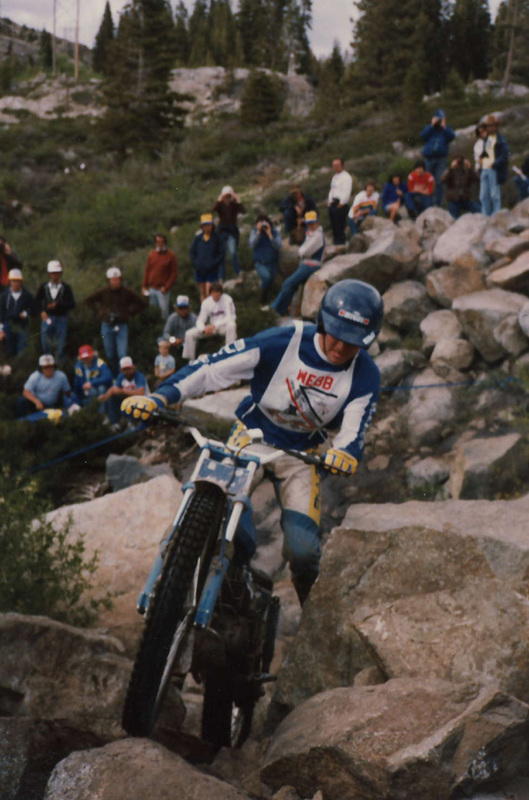 CKR is very fortunate to have Kip Webb coaching our riders… Not only has Kip coached his son Cody Webb to be one of the Current Top National Trials Riders in the States, Kip himself was ranked in the top national trials standings throughout the 1980’s, 1990’s and early 2000. Kip has continued to be involved in this sport he loves. 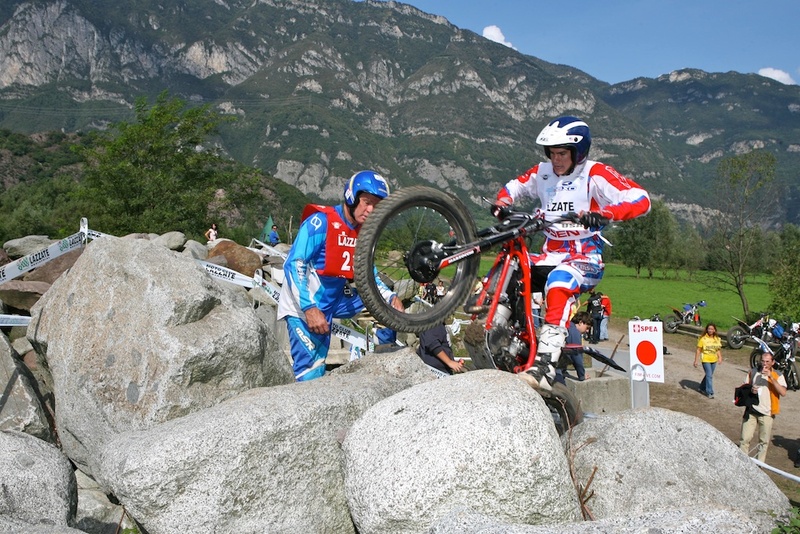 In 2009 Kip Coached/Managed Team USA to an awe inspiring 5thplace finish at the Trials De Nations in Italy. This was amazing finish competing with the Europeans when team USA is really the new kid on the block. 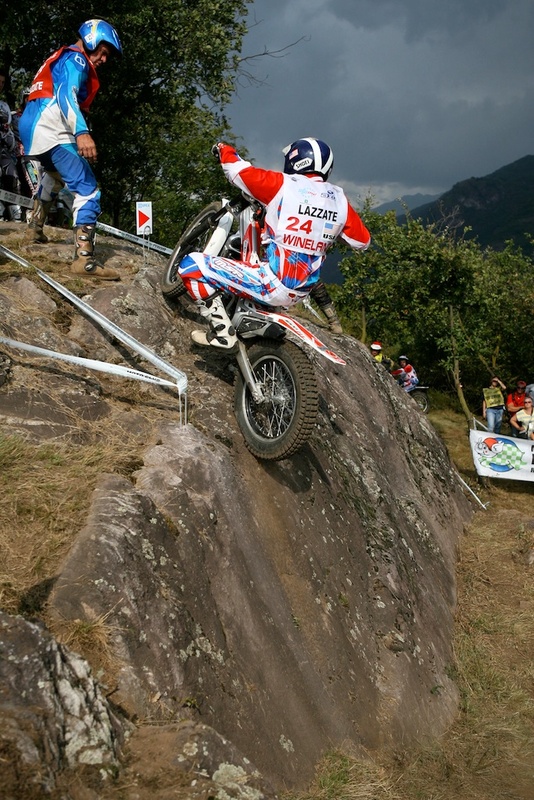 Kip can do things on a dirt bike that most of us just dream about. 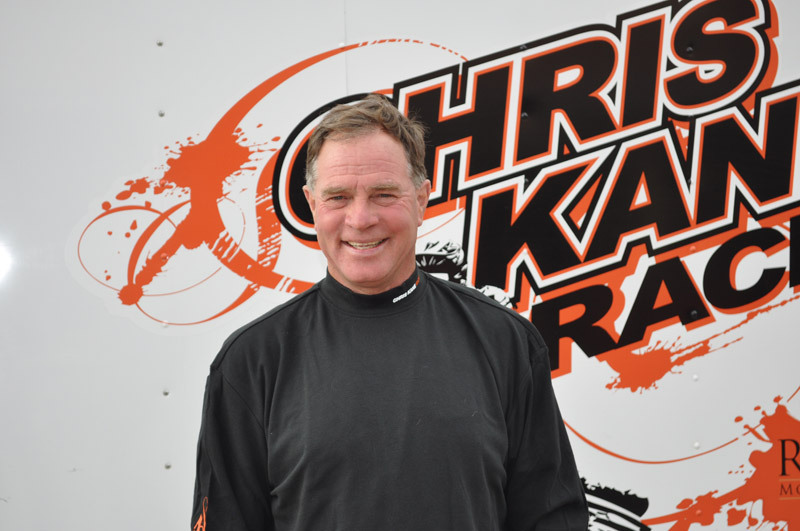 Thank you Kip for all your efforts and patience in helping the CKR riders reach their potential. You certainly have a Heart of Gold and the Finest Family around. Now please hear the rest of the story from the man himself. 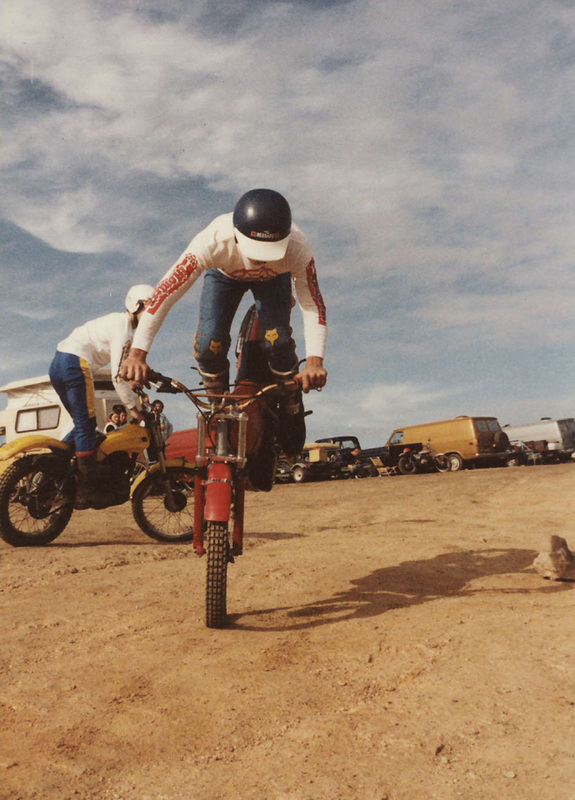 I have been riding motorcycles most of my life in many different types of competition, but primarily my background is in Observed Trials. I have always found Trials to keep my interest up as the challenges are never ending. 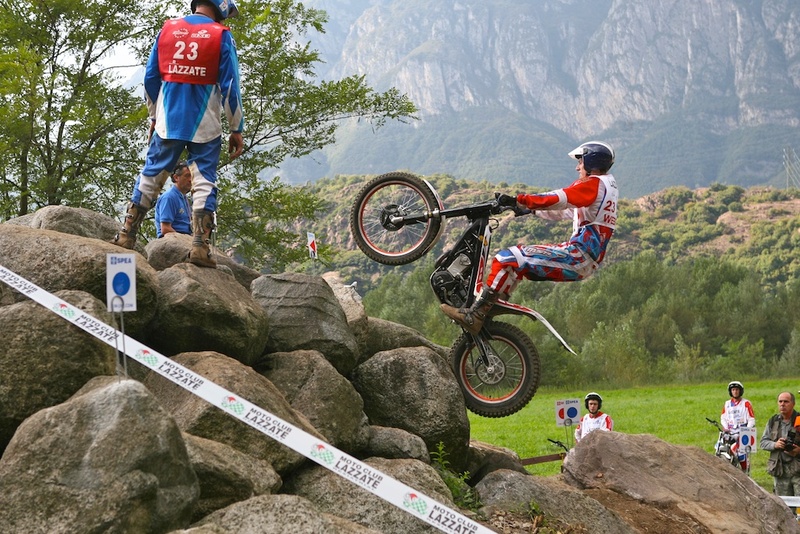 The skills a person can develop from even basic Trials practice will serve them well and enhance their riding level in anything they attempt. I have proven this to so many people over the years and many of them were died in the wool racers who found new confidence and skills to help them overcome hurdles and continued improvement. I rode my 1st Trials event on a Kawasaki Bushmaster 90 in the mountain near Big Basin, This was when the Santa Cruz mountains were a hotbed of trail riding activity. You could ride from Pinky’s restaurant at hwy1 and Gazos Creek up into the upper Boulder Creek and China Grade areas. The 2 primary clubs putting on trials events here were PITS (Pacific International Trials Society) and RidgeRunners MC of Santa Cruz. Many good riding memories for many people were realized here. 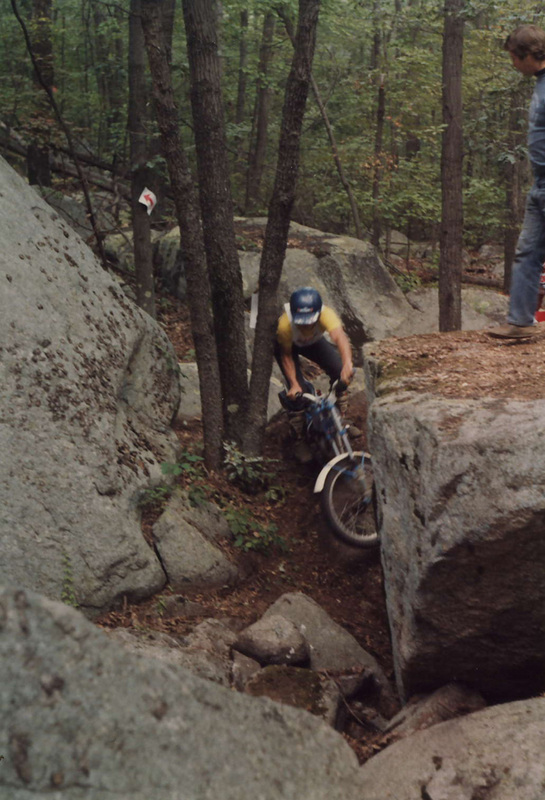 I entered into the National Trials scene in my early 20’s and having so many years behind me of local events and great areas to develop riding skills I moved very quickly into the AMA/NATC championship class in 1984. I travelled extensively around the country with my wife Francesca better known to all as Fran. 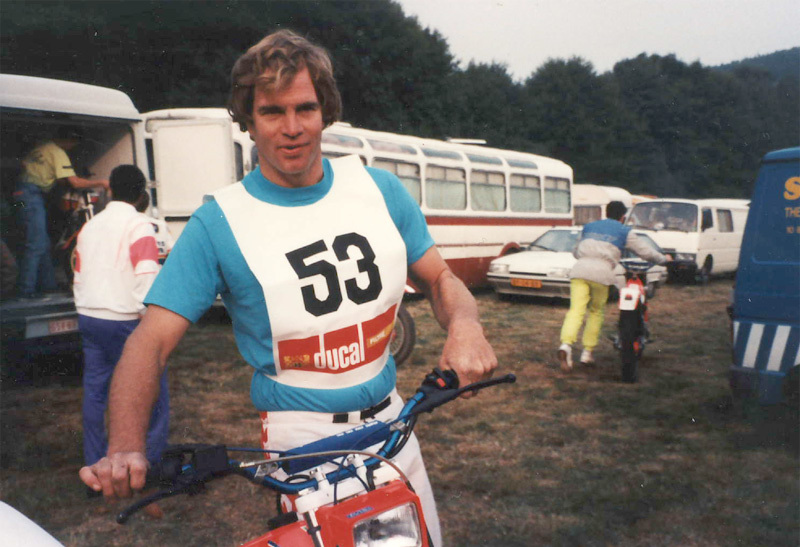 In 1985 I qualified for the American Trials des Nation Team competing in Italy. 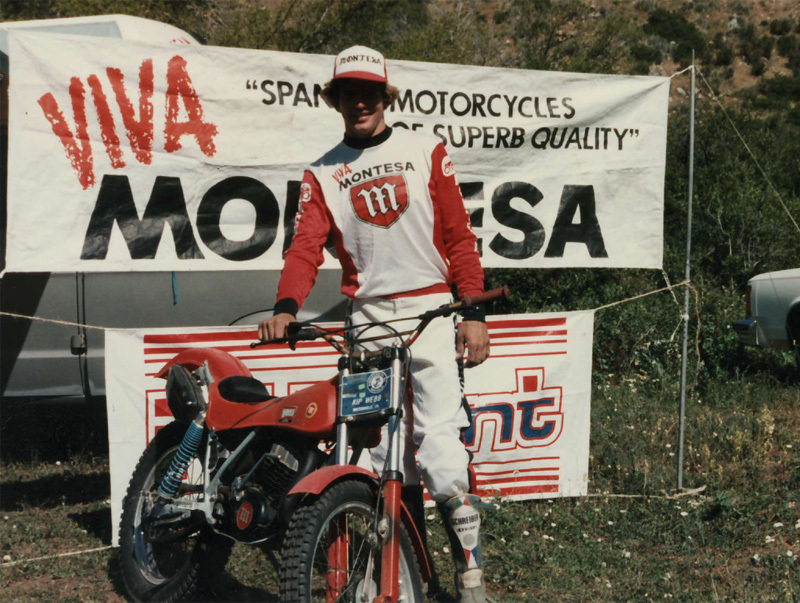 The TdN was very similar to the Motocross desNations in that each country would send their 3 best riders with a 4th as an alternate to compete against other world teams. 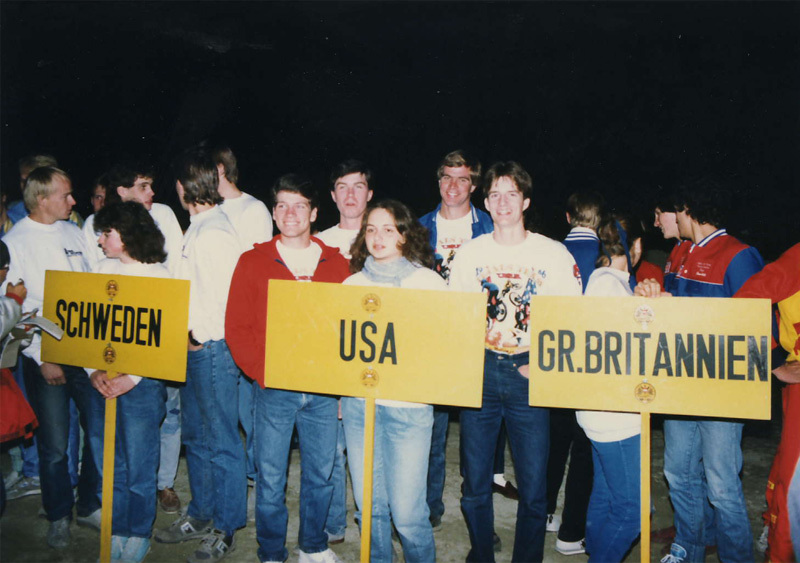 In my 1st trip in 1985 there were 11 teams competing with our US team finishing 9th, now the level of competition has been split into 2 classifications divided between World (A) teams which are primarily the factory top riders of the world and International (B) teams which is pretty much everyone else. 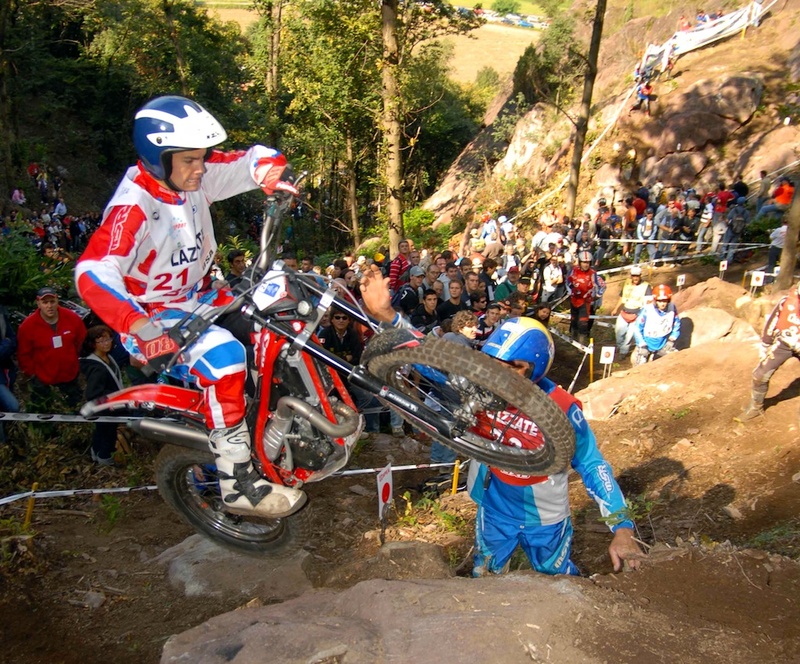 Last year (2009) there was a total of 24 teams representing all the continents. Our US team finished an all time high of 5th in the A classification. Quite an improvement from a humble beginning. I was so fortunate to be able to maintain my spot on this TdN team for the next 5 years, competing in Italy, Austria, Finland, Belgium and Luxembourg. My wife travelled to all these competitions, encouraged me to practice rain or shine and was invaluable. Good support is extremely important and helps keep you grounded and focused when things may not be going your way. Soon after my last European trip we had a son (Cody) then over the next few years we had 2 daughters (Sabrina and Regina) During this time I made a few National events but was consumed with family and work. 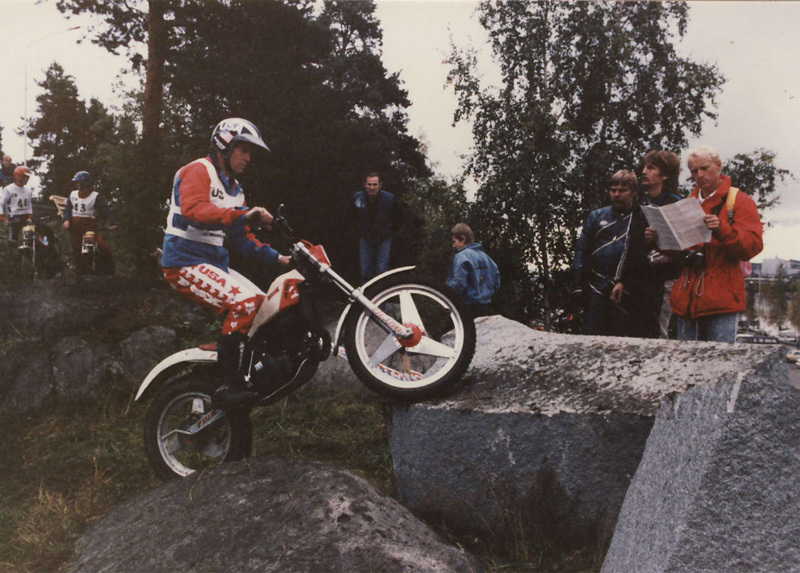 I did however continue to ride regularly having various dirt bikes as well as the ever present Trials bike. I always said that my kids would not ride a dirt bike until they were at least 10 yrs old, well that did not work out. With the constant exposure that Cody had from a baby of always being around motorcycles, his overwhelming passion won me over and I caved. Cody was on a bike on his 3rd birthday. My girls followed in his footsteps both riding when they 4 yrs old. I can say I have not ever regretted this decision. It has built confidence in their personalities as well as helped shape their individual identities. 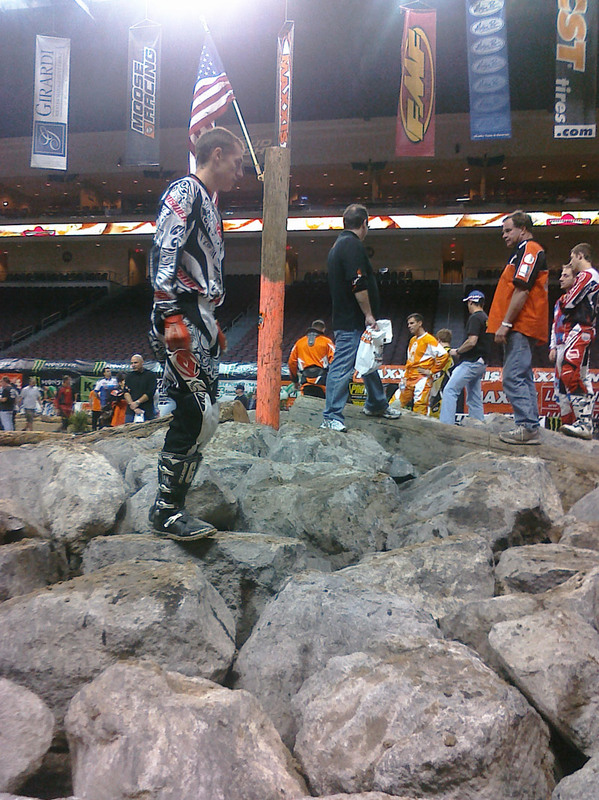 Cody however continued his passion and skills to where he rode his first National when he was only 10 yrs. old. 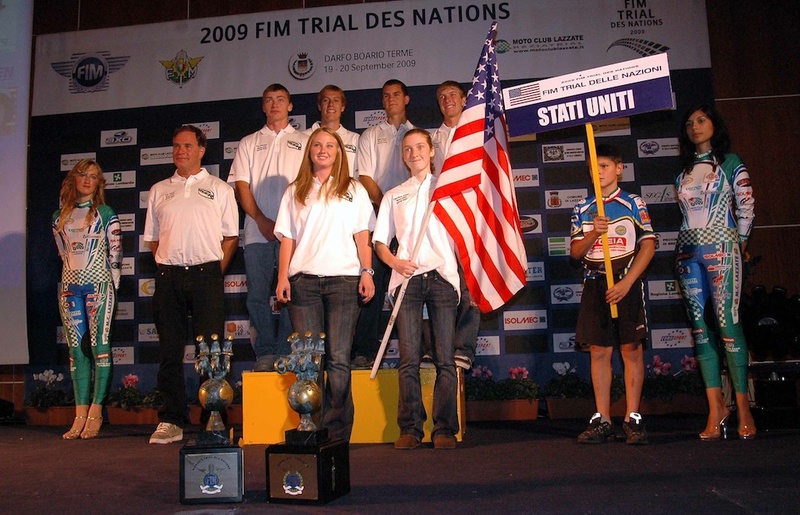 Now 11 yrs later so many cross country trips as well as travels to European competitions and 6 times on the American Trial des Nations team he will hopefully achieve his goal of National Champion this 2010 year. I have stayed closely involved in all my kids activities and have encouraged them to make the effort. I have been the American TdN team manager for 3 years now. having the background and practical experience has been invaluable in helping the young men and women who compete on the world stage and this also is an incentive for me to stay involved and offer what I know. Many riders have the drive to want success but I have seen so many times where they become discouraged when the results do not come as easy as they once did. It is here where an individual who has “been there, done that” has so much to offer. To me, one of the greatest satisfactions is helping someone overcome an obstacle to their confidence, and then seeing that performance continue. I now enjoy riding with family and friends who I can still show a thing or too when necessary. I still spend many hours training with Cody and some of his close friends, offering assistance and encouragement in their quests that were so similar to mine.